EU has called for a permanent exemption from the tariffs, arguing the one-month extension is causing uncertainty among businesses. BERLIN: Germany's economy minister urged EU states on Wednesday to find a common position on how to negotiate on trade with the United States after U.S. President Donald Trump extended a temporary reprieve for the EU on steel and aluminium tariffs. 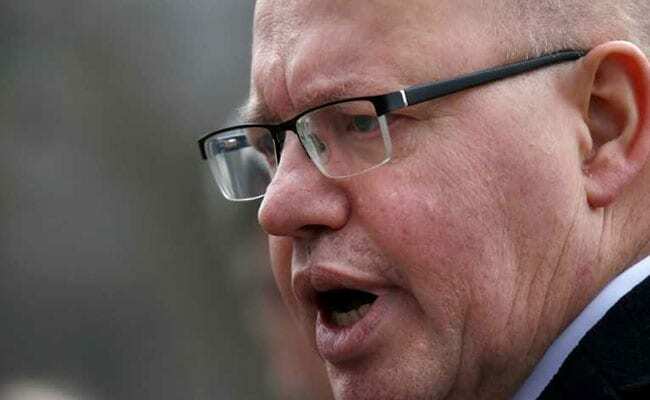 Peter Altmaier told Germany's ARD television the EU faced a difficult situation. "We must therefore try to get to a fair solution in negotiations between the Europeans and Americans," he said. Although the EU has called for a permanent exemption from the tariffs, arguing the one-month extension is causing uncertainty among businesses, there are differences in emphasis among member states. Germany wants a broad agreement to lower tariffs across a broad spectrum of products, especially in manufacturing. In contrast, France has said it agrees that there is overcapacity in the steel and aluminium sectors and that it is ready to work with the United States and other partners to find a solution to those issues. It insists, however, that it can only discuss this if it has assurances that the EU will be permanently excluded from unilateral tariff increases.